December 2015 – on my way: make it someday. La Sgambeda, my first ski race of the year! 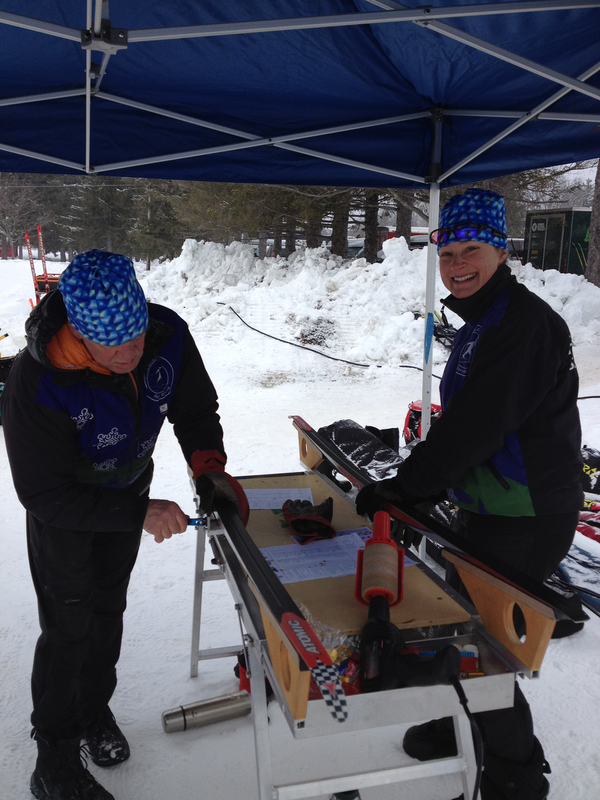 Most people don’t decide that the first time they classic ski for the season should be during a long race. I can now confirm: this leads to pain. Much pain. My weekly yoga class on Tuesday? Extra rough this week. I was tempted to do La Sgambeda after Holly Brooks raved about it last year. A ski marathon in Livigno, Italy, La Sgambeda last season served as the opener for both the Swix Ski Classics series and the FIS Marathon Cup; there was a skate race and a classic race, as well as the Ski Classics prologue, all zipping up and down a sunny valley just over the border from Switzerland. How could you not want that? This year things were a bit different. The FIS Worldloppet Cup doesn’t start until January in France, and the (now Visma, not Swix) Ski Classics moved the race one weekend earlier: a 35 k classic race in the first weekend of December. I few people were less enthusiastic once the skate marathon option disappeared, but this fall I gathered some friends and finally looked for a place to stay. I made sure to get on snow twice before the race… but both times were skating, and once was on an ungroomed path after the first “big” snowstorm around Zurich. Things were so messy and lumpy (plus it was after work in the dark) that it took us an hour and 15 minutes to go just 12.5 k, skating until we were completely exhausted. 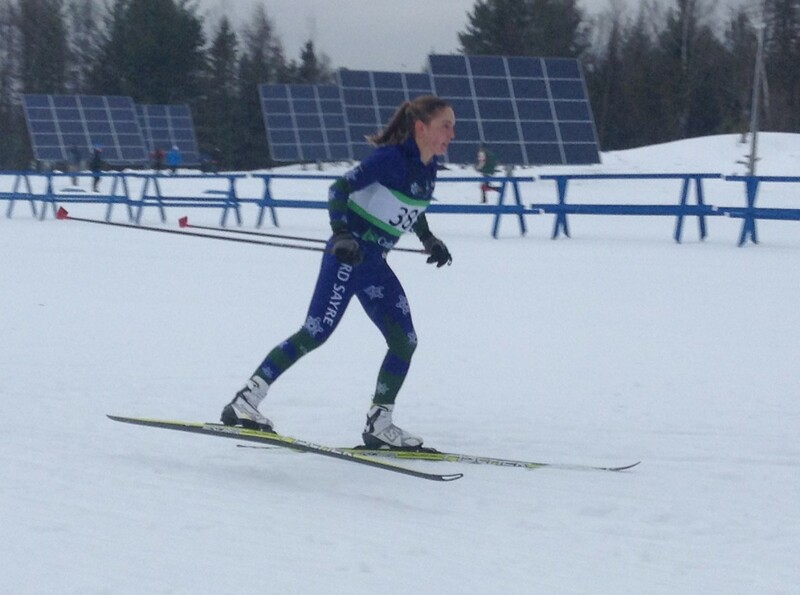 I’m not sure I’ve ever gone that slowly on skis in my life, much less when I’m skiing more or less at threshold. I mean, my Vasaloppet pace was faster than that, and the Vasaloppet was (a) classic and (b) a disaster. Technically, it was skiing, but in terms of anything you might call race prep I’m not sure it qualified. Nevertheless I was super excited to race. I have never been a fantastic marathon skier and that certainly won’t change now, but I felt fit from the running and hiking I did all summer and fall. Classic skiing up a long valley and then pushing down the gentle downhill kilometers to the finish with a few hundred of my new closest friends sounded like oh so much fun. There were hints that my dream might be a bit unreasonable. There has been very little snow in central Europe (or at least on the southern side of central Europe) and so I carefully watched the Livigno webcam to see what conditions were like. I stalked the #Livigno hashtag on Instagram. I asked people on twitter what the conditions were. People were skiing on a manmade loop, in shorts and sports bras. Yet ten days before the race we got an email from race organizers saying that the race had been “secured”. 800 people from all around the world were already signed up, with more registrations coming in. La Sgambeda would happen. Hmmm. And so we departed for Livigno. Our crew: a motley bunch of scientists. Greg is a postdoc in ecology studying, more or less, carbon cycling and storage in forests. Jonas is a chemist working at a pharmaceutical company. Jonas is a much better skier than Greg and I. Between the three of us we had one complete wax box, which we considered a victory before the race even began. I met Jonas at a train station partway to the border, and we drove into Livigno on Friday night. The town center is a strange combination of a pedestrian-only zone and hotels, so you have to try to navigate through the packed streets even though almost every one has a big sign saying only “authorized” traffic. After driving past street turn after street turn, feeling we weren’t allowed to go down them, we eventually decided that we were authorized and tried not to hit any Italian tourists. It was a challenge. Our hotel included half board, so we stuffed ourselves with delightful Italian food for dinner. I think it was the first week they were open for the season; the waiters were still enthusiastic and friendly, making jokes and then smiling because they knew we liked their joke. The next morning we slept sort of late – paradise! – and then walked over to the ski stadium to watch the Ski Classics Prologue. The organizers had kept the loop pretty flat, and everyone was double poling. Watching them cruise around the course made me even more excited to ski. After Greg arrived on the bus, we grabbed some lunch – the best 9€ pasta I’ve ever had – and then went back to the trails, this time with our own skis, to test klister. The klister worked, but most of all I was just overjoyed to be skiing! It was my first classic ski of the year. Sometimes when you get on snow for the first time, it feels awkward – your skis are sliding around, you feel like this is totally different than rollerskiing, your shins immediately hurt from trying to balance. I did not feel like this. I felt like I had been born to ski and that skiing on snow was the best thing ever, and totally natural. The hard tracks in the 40°F sunshine might have had something to do with it too. It was glorious. I felt like singing. Luckily for my companions’ ears, I resisted this urge. We headed back to the hotel to prep skis and eat another big dinner. On Saturday night half-board apparently consisted of fondue. We skipped the cheese version and got meat fondue, which also is definitely not ideal race prep, but better than cheese, we hoped? Because of the loop format, the organizers didn’t want the elite field to have to lap through the rest of us. I understand that. They started the women at 9:30, the men at 10:15, and the rest of us got to start at 11:30. The upside: we got to sleep late. The downside: the officials closed the course completely before our race. Jonas and I tried to test out what to cover our klister with, during the women’s race. There were only 34 women in the elite field; they skied in packs, with large gaps in between. Minute-plus gaps. Even in the packs, they did not take up all four lanes of the course. Being responsible skiers, we looked around to make sure that we weren’t in the way, and then hopped in the outside track. Two officials quickly converged on us and told us in Italian, and in no uncertain terms, to get out of there. So the course was not open at all for the two hours before a classic race, during which time the air temperature warmed up 15 degrees and went from below freezing to above freezing. Since it was a manmade loop, there was nowhere besides the race course to ski. I understand that circumstances were extenuating, but I was still pretty irked. We were definitely not going to get in anyone’s way. I guess my upbringing on the Eastern Cup circuit, where people manage to warm up despite races going on, biased me a bit. I was more irked later, in my own race, when not only were people skating around the course for fun, but a few spectators or elite athletes were skating the wrong way on the course during the race. The point of the Ski Classics series is to make for great television and to have the world’s best athletes compete, but also to give normal people a good race experience so they can connect with the series – maybe focus on the same high organizational standards for the citizens’ race? Competitions like the Birkebeiner and Vasaloppet show that this is definitely possible. It’s not the World Cup. It’s a different thing. Once we got to the start, there was another shortsighted problem. Greg went to put his skis at the start line in his wave, and there was no room. The organizers had assigned people to waves, so they certainly knew how many people to expect, yet didn’t make the start pen big enough to fit all the people signed up. Really? Of course, though, once the gun went off everything was fun. Some people went on skate skis but I was happy to have my klister cover as I strided up the first hill. There was plenty of chaos, with people falling and crashing and taking out others. I was in the first 200 people to go around the course, and already by the time I got to the first steep downhill it was completely snowplowed out. The steep uphill afterwards, which was just two skiers wide? We had to take turns skiing down to it, and then stopping. The wait times were somewhere between 30 seconds and 2 minutes to get moving, depending on where you were in the field. If you didn’t want to simply walk on your skis, that was too bad because you had no choice. All of that chaos had the effect of stringing out the field much more quickly than it would have if we could have stayed in bigger packs. So soon, I found myself skiing more or less alone around a long, pancake-flat loop of a field. This was definitely not what I had pictured, but at least I was out of danger in terms of broken poles. Double poling isn’t really my strong point, though, and having not done it at all this year except on a short test ski the day before, I felt slow. My skis – fast on the downhills and solid on the uphills – were also dragging on the flats. I was working fairly hard, but going nowhere. The fact that my skis were slow on the flats was nobody’s fault but my own: I quickly realized that I hadn’t accounted for how much weight I’ve gained since I first acquired my klister skis, and that they aren’t quite as stiff for me as they used to be…. less klister next time, oops! The upside of being a recreational skier is that when you mess up your skis, there are no real consequences except for spending a bit longer on the race course than you had planned. The best thing to do seemed to be to just enjoy being out in the sun with a lot of other skiers. At one point I had a mini battle with a 60+ year old guy in a new German team suit. Every time I passed through the stadium, I laughed to myself about the Italian announcing, which made everything sound much more dramatic and exciting. I was tired when I finished, and my arms and back were already stiffening up. But it was so beautiful and so warm that we went back out for a cool-down lap anyway. Living in Zürich (or in Jonas’s case Aarau) it wasn’t really clear when the next time we’d be on snow might be. So we reveled in the snow and sun and cheered for the racers who were still out on course. After re-packing the car, we grabbed some more delicious Italian food. The restaurant was busy but we explained to the waiter that we had just finished the race and were hungry. He understood. And then we headed home. Greg and Jonas had never met before the weekend, but the three of us had gotten along perfectly and tried to plan what other races we might do together. As for La Sgambeda? I probably won’t come back if it’s on a manmade loop again, but I do want to try the real thing with the trails heading up the valley. The Livigno landscape is beautiful and I’d like to go in the summer for hiking, too. Stangest thing in the race bag: Glucosamine joint supplements. I mean, I know marathons have mostly master skiers, but do you think we’re that feeble!? Biggest accomplishment: Jonas has never heard of using plastic wrap to wrap your klister skis if you don’t have time to clean them before tossing them in your ski bag to travel. I feel that by spreading this knowledge (and gifting him a box of plastic wrap) I have made the world a better (and less sticky) place. Shopping haul: In the tax-free zone, I avoided the designer perfumes and fancy watches, and instead brought home some local Italian food products. So, friends, now you know what you’re getting for Christmas.